Sip bubbly among the hot-tub bubbles. 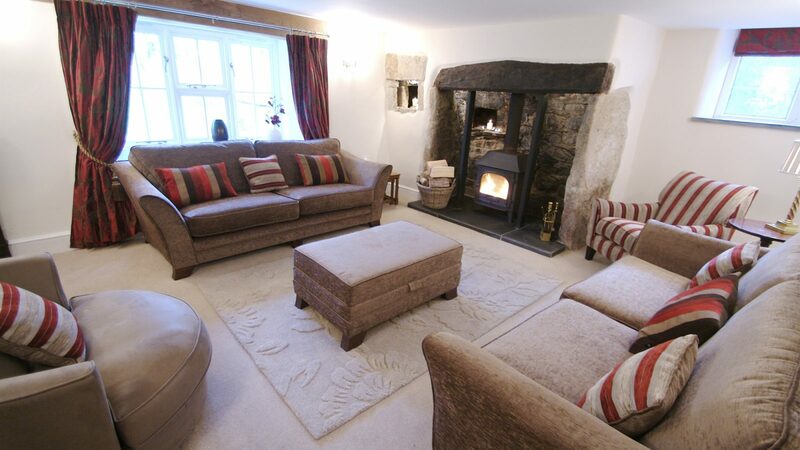 Get warm and cosy in front of the log burner. 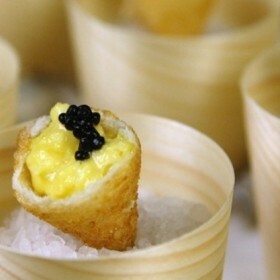 Pop a cork and sizzle some sausages on the party terrace. Laze and lounge or party hard. 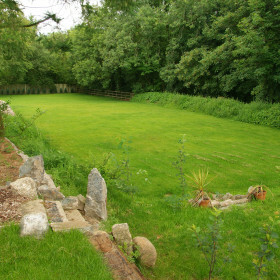 So idyllic is the location of Waterfall House, you might expect to find fairies at the foot of the garden. 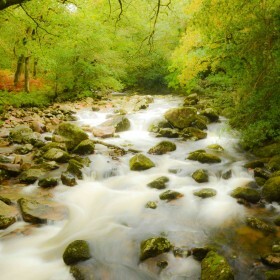 Instead, it’s Lydford Gorge and the famous White Lady Waterfall. But this twelve-guest retreat is no fairy story. 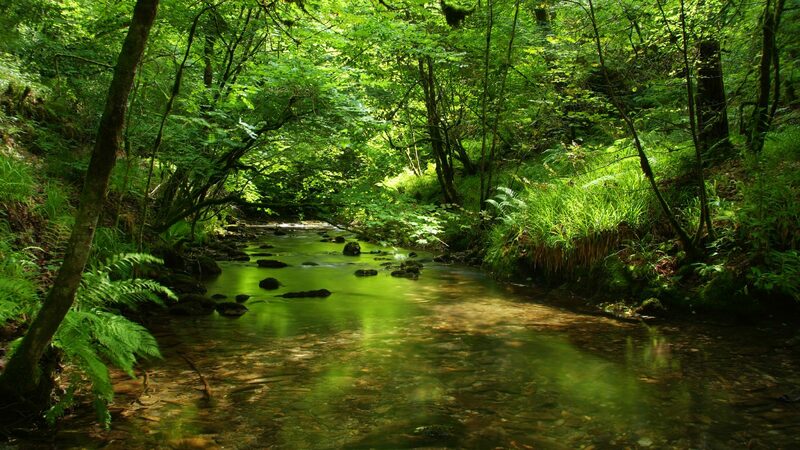 It’s a natural destination for celebrations, get-togethers and holidays. Fill the cavernous spaces with fun and laughter. 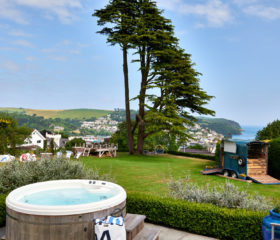 Fill the hot tub with chums and sip bubbly among the bubbles. 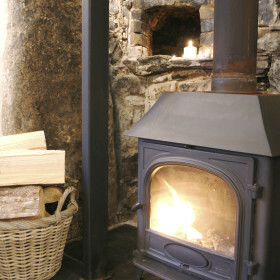 Fill your time exploring Dartmoor, summoning our chef for a fully-catered, food-filled extravaganza, or lazing and lounging on squishy sofas beneath oak beams before Inglenook fireplaces. 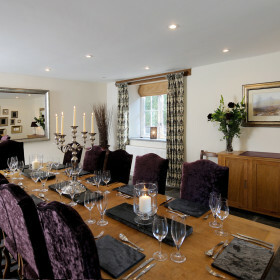 Get together for a celebration around the big dining table. 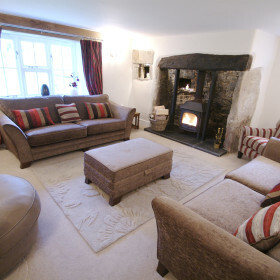 Just add popcorn for a movie night in front of the woodburner. Let the iPod dock provide the soundtrack to your party. Wind up on the Wii, then wind down with a good book. There’s space here to be as much a part of things or apart as you wish. 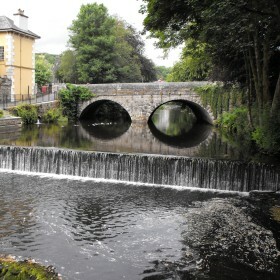 Whether from the house or gardens, Waterfall House is gushing with great views. Stroll down the gorge to find the waterfall. Somewhere beyond the garden terrace, the croquet lawn, the pop of the cork and the sizzle of barbecued salmon or fish, Dartmoor begins. 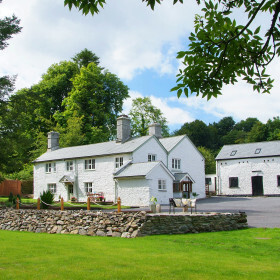 Waterfall House has a large landscaped garden overlooking the Lydford Gorge. Potted plants, flower beds and luscious lawns await. 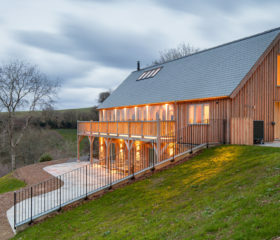 Make the most of the spectacular country views in the bubbling Hot Tub, pour a glass of wine and take a dip, it’s the perfect way to relax after a long day’s exploration of Dartmoor. 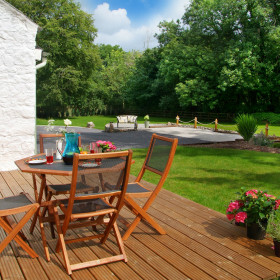 There is a also a garden terrace complete with a barbecue area and furniture for alfresco dining in the summer months. 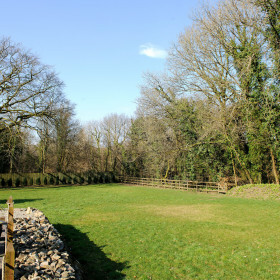 The kids will really enjoy the croquet lawn and table tennis and you are even welcome to use the stables, if you wish to bring your own horse and ride out on the moor. 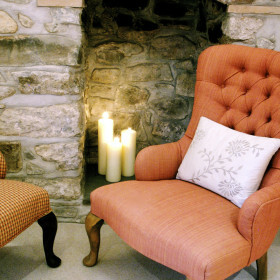 Waterfall House has two warm and welcoming reception rooms for getting together with your loved ones, the Drawing Room and the Sitting Room. 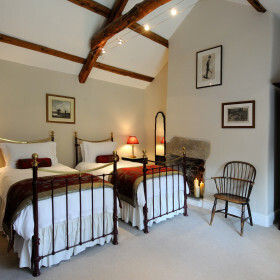 The Drawing Room is lined with decadent silk curtains, and warmed by an inglenook fireplace complete with a wood burner. The large squishy sofas are perfect to cuddle up on with a good book or just for a good chat with your friends and family. 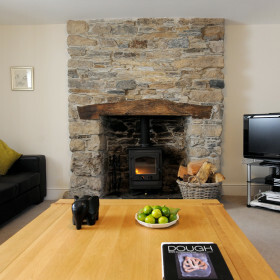 The Sitting Room also has a wood burner, and with all the modern technology adorning the room it is definitely one for the kids! 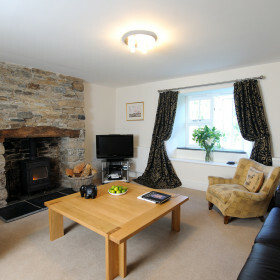 TV, DVD, Wii, and ipod docking station make the Sitting Room abuzz with movies, games and laughter. 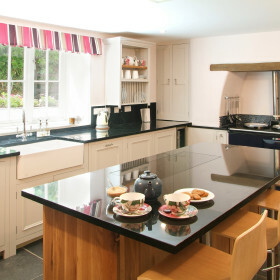 Waterfall House has a spacious modern kitchen with all the mod cons you could ask for. 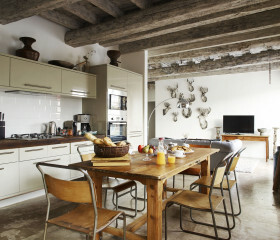 There is also a large Aga oven for cooking up a storm for your family and friends. 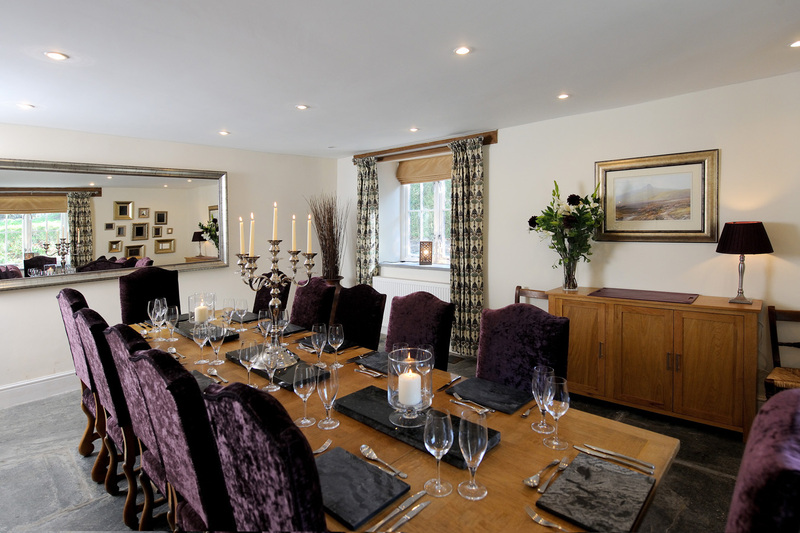 The large Dining Room has original slate flooring and a large oak Arts and Craft table able to seat up to 14 guests. There is a lovely garden terrace with garden furniture perfect for alfresco dining on a lovely summer evening. 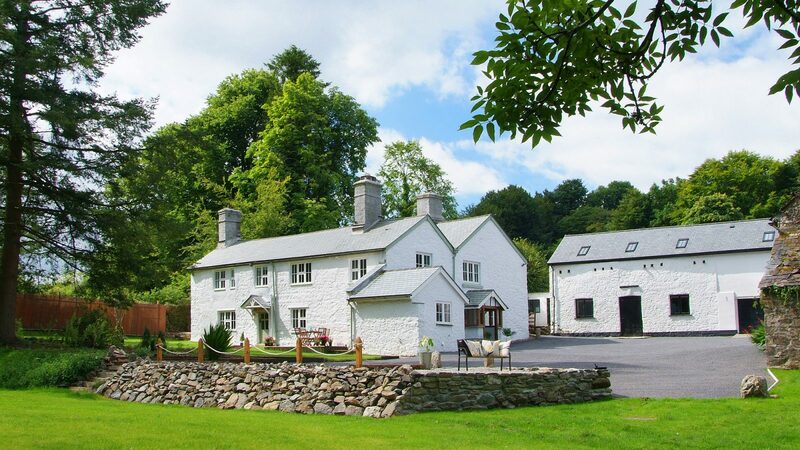 To add an extra special touch to your break, one of our fantastic chefs can come to the house for a night cooking a three course meal or provide you with superb, ready to go meals or barbecue dishes dropped off for your convenience. Pre-prepared meals can also be waiting for you on arrival or delivered over the weekend – great home-cooked food prepared locally. 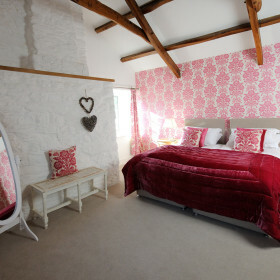 Waterfall House has six beautiful bedrooms. 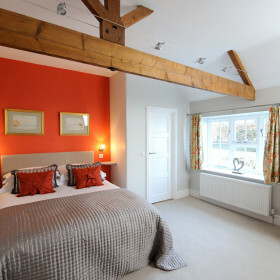 There is a pretty downstairs twin bedroom with en suite shower room and french doors onto the large landscaped gardens. 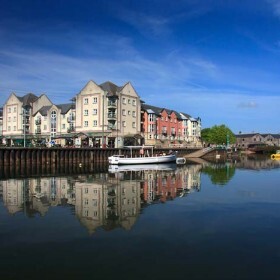 There are beautiful views all year round. 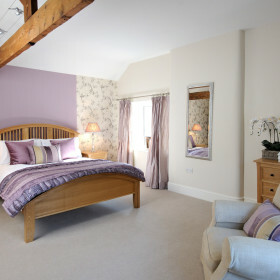 Two large oak staircases lead up to the first floor where you will find a further five individually designed bedrooms, all luxurious in feel and modern in style. 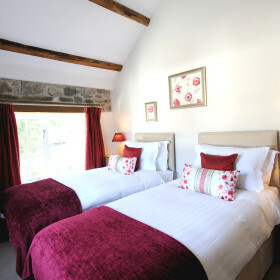 Two of the bedrooms have king sized beds and the other three are twin bedrooms. 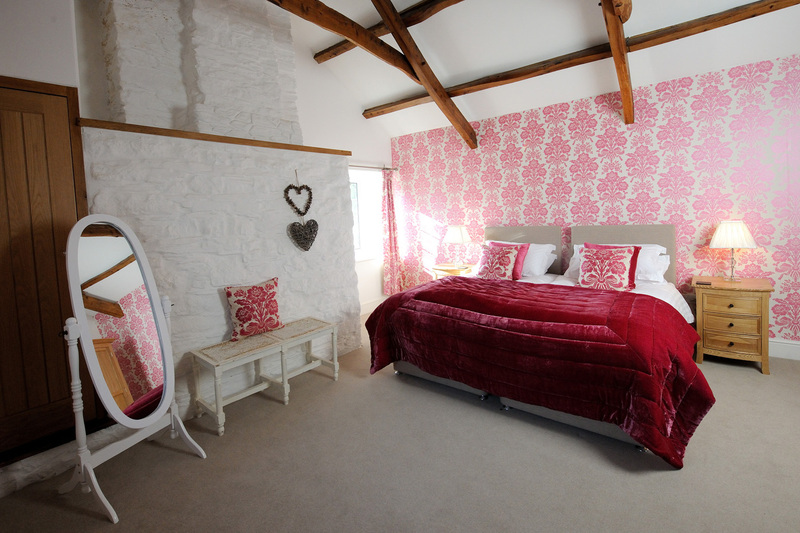 Waterfall House has two sumptuous en suite bathrooms and a large family bathroom. 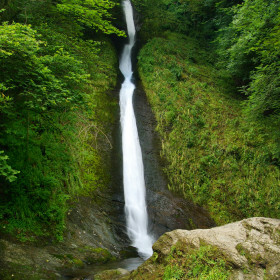 Wander down the Gorge and picnic barefoot beneath the waterfall. Hear the Devil’s Cauldron bubble and roar. 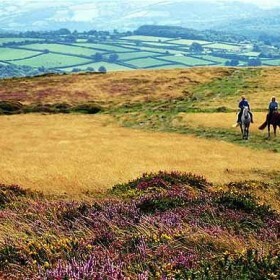 Ride the ancient moorland by horse or bike. Potter the fishing villages and laze on sandy beaches. Find churches, cathedrals and gardens galore.